Oh...la...la... how time flies so fast and I've neglected this blog for almost a month. I do miss blogging ! December is almost over and everyone is exclaiming "long holiday", planning their trip with the entire family member. I always love December, the month of festive and of course, holiday. :) I don't have plan to go anywhere during the holiday, because all I need is only a time on my own, being a normal housewife, stay in the house, clean up the mess and cooking. But while my brain says yes, my body screams no. Believe me, age does matter, lol. 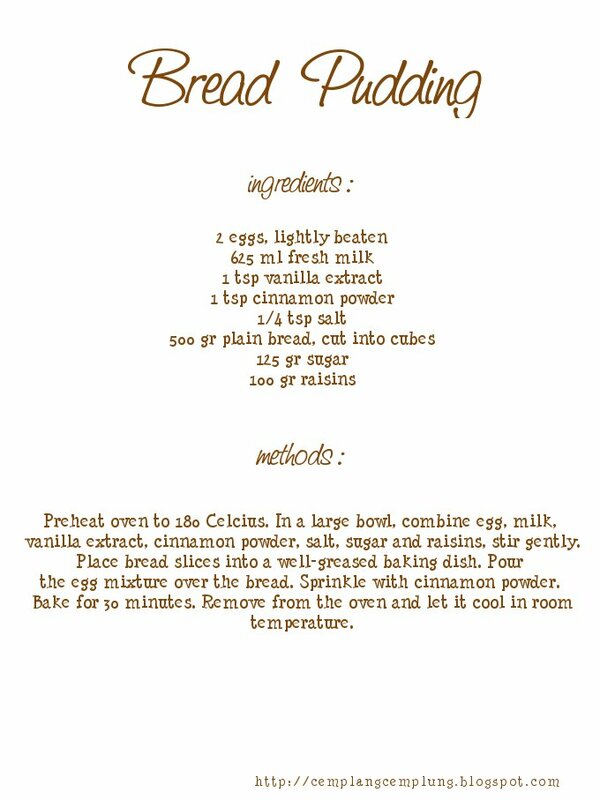 When my friend said that she had leftover bread and didn't know what to do with it, I remember my grandma. 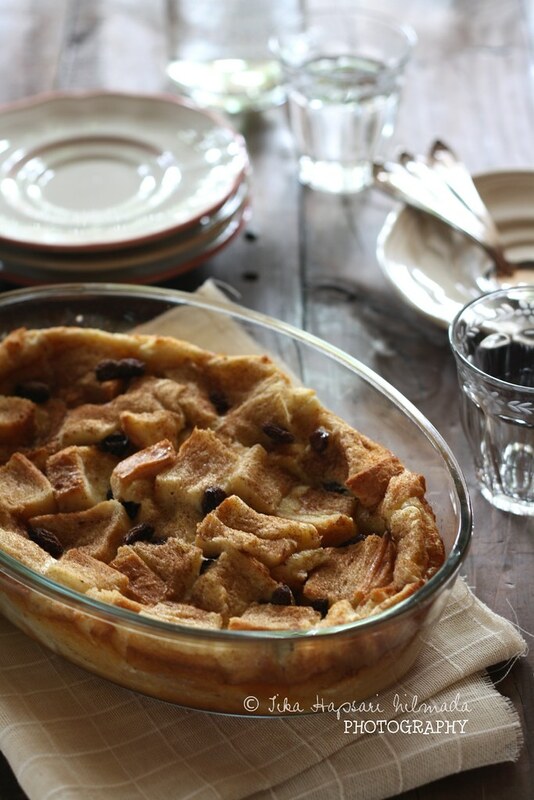 She used to make bread pudding from leftover bread with coconut milk instead of fresh milk. As a mother, I would feel terribly sorry to see the food get wasted. So, let's call it "food rescue". 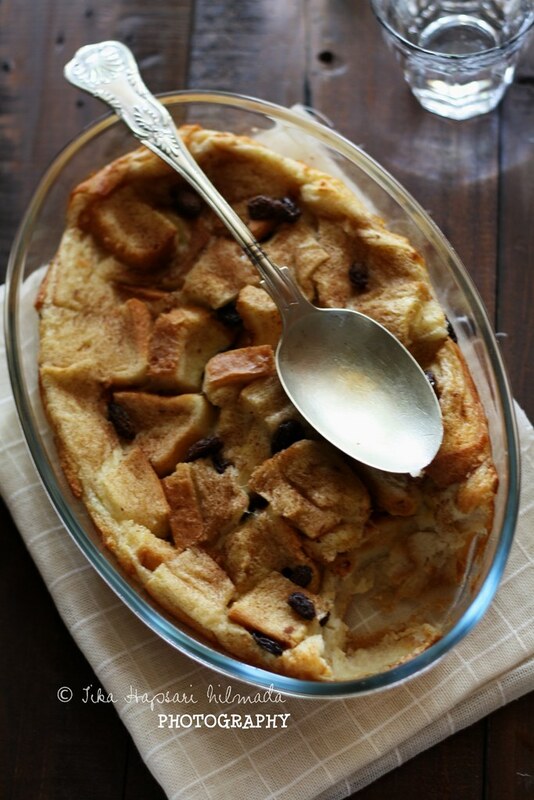 I save some leftover bread and turn it into bread pudding. Don't tell me I sound like grandma. 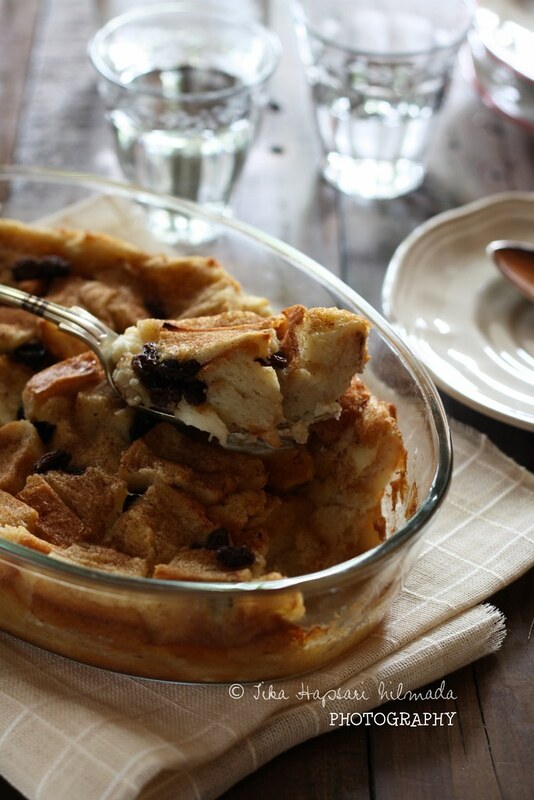 :p This simple and easy recipe of bread pudding is a savior in case you get bored with toast bread or sandwich. To all my friend out there, Happy Holidays !! Okay... it's a wrap ! The time is up and I have to hand over those cute props to you. I wish I had enough giveaway prizes for everyone, but sadly I only had three items for three winners. However, I would like thank everyone who participated in this event. Three lucky winners have been chosen via random.org and each of them won one food prop. As for the winners, please send me mail to t_hapsari_rn@yahoo.com to claim the prize. You have until December 5, 2012 to send me your details, otherwise I will have to pick another winner !